The score is the total number of all 3 lifts combined, so a 100kg back squat, 60kg press and 120kg deadlift would give a score of 280kgs. There are several rules that need to be obeserved for all the lifts to count. There is no time limit for the CrossFit total and athletes can take as long as they need between attempts. Each attempt must be nominated in advance. You cannot work up to a heavy weight and then subsequently call it an attempt. The back squat must be performed from a squat rack. The bar must be walked backwards, a squat completed to full depth, ie hip crease below the knee and then returned to the rack. The press must also be performed from the squat rack. The bar must be pressed full overhead with the knees hips and arms fully locked out. Any bending of the knees will be a no lift. The deadlift is performed from the floor. The bar is lifted to a locked out position where the knees and hips are fully extended. The bar must be lowered under control back to the ground. The bar may not be dropped. Whether this is your first or 20th time doing the CrossFit Total, you need a strategy. The first thing to remember is that you will have plenty of time to warm up in advance. Under no circumstances should you load the bar with a heavy weight and do your first attempt without any warm ups. That is a sure fire recipe for injury. The goal of the warm up is to prime the nervous system and practice the movement. It is not to exhaust yourself before you make a first attempt. As a result warm ups should not be slow, grindy reps.
As the squat is the first movement, it will be where warm ups are most important. Once you have finished the squat you will already be relatively warm, so you will need less time for the press and deadlift (although you should still take some warm up attempts). Notice how the reps decrease as you approach the first attempt. All of your warm up lifts should be executed as smoothly and quickly as possible. They should not be difficult. You do not need to rest excessively between warm ups, just enough time to change the plates on the bar. You will need to decide in advance what your attempts will be. If you already know your 1 rep maxes then this is fairly simple. For your first attempt you should choose a number that is 80-90% of your 1 rep max. This should be a number you know that you can confidently get anytime. The goal of this is simply to get a score on the board. If you start too high and miss all 3 attempts, your score is zero. Don’t get greedy and take huge leaps in between lifts! And remember jumps of 5-10kgs are ok in the squat and deadlift, but in the press smaller jumps are going to work better (2-5kgs). Other than that enjoy it and have fun. 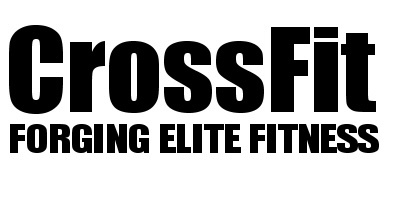 Make sure to post your scores so you have something to beat next time you do the CrossFit Total. Score: Sum of all three 1 rep maxes.